WKU Agriculture curriculum was approved on July 20, 1910. 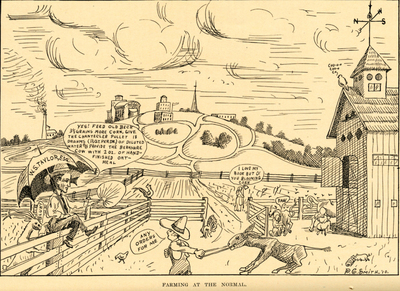 This cartoon depicts early farming operations overseen by W.S. Taylor.